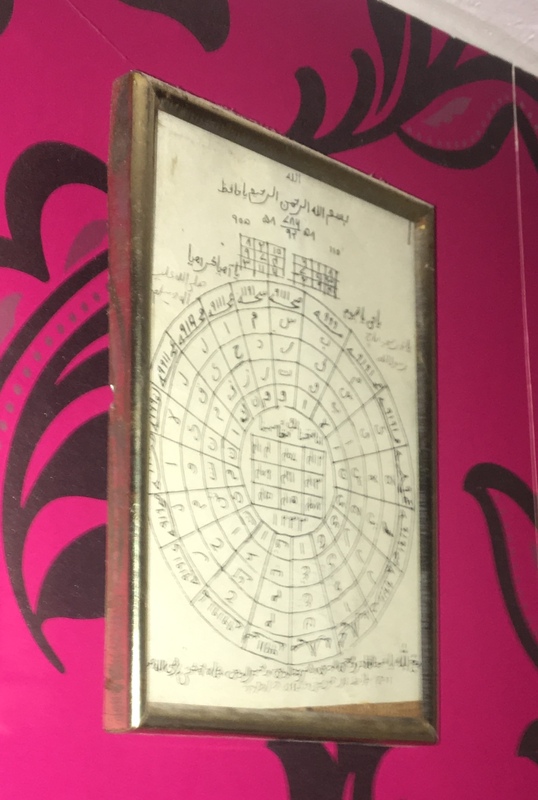 I had a taweez hung in my old bedroom (still there) and recently, I’ve been wondering what the number and letters mean. Are they references to Qur’an verses? Who knows? I don’t know if the prophet supported this or not. I’m a Sunni but I still don’t know if these numbers are, how do I put this, something that should be used for protection. I did some research and many have said that taweez are shirk. I even watched a video in how on some taweezs, the number boxes are actually Kaballah magic square boxes which call upon jinns of certain planets astaghfirullah. So can someone help me out. My parents don’t know I’m doing this, from what I’ve heard you’re not even supposed to read taweezs and here I am trying to decode one xD. Help a sister out. You should check the above two links. Some religious people say it is alright to wear Taweez so long as the person wearing it believes, thoroughly, that help is only from ALLAH, and that the Taweez is just an intermediary sort of thing and has no real worth nor can it help anyone. The Taweez can only have Quranic Verses or Dua that the Prophet P.B.U.H taught to his Sahaba. Others say that Taweez is completely Haraam and it is shirk. Personally, I would say what someone had once said to me: Stay away from Taweez and people who give Taweez and do Dum as you don't know what they write or recite. Unless you are absolutely sure that what they have written is clean and only praises ALLAH, don't even go near them. There are people who will write the verses of Quran but add some other small characters that call the help of the Jinn\Muwakkil etc (no joke, it happens). TL;DR: Stay away from Taweez, pray 5 times a day, recite the Quran, praise ALLAH, and send Durood at the Prophet PBUH. Recite the Ayatul-Qursi before going to sleep and/or after waking up and after every prayer if you feel like you need a Taweez. Not the answer you're looking for? Browse other questions tagged sunni shirk or ask your own question. What is shirk in Islam? If husband start practicing hinduism what his wife shuld do? Reference of hadith in Musnad Ahmed which states the wearing taweez/amulet is shirk? Can we say “this person saved my life”? What does Islam say about being brave? If the good deeds are erased due to Kufr or Shirk, is there any means of getting them back?